NHS England Chief Executive, Simon Stevens, has announced the scaling up of an innovative scheme that catches lung cancer early by scanning patients, along with new details of a more sensitive bowel cancer test that could save thousands of lives. Speaking at the Economist War on Cancer event in London, he highlighted the success of the Manchester scanner scheme, where mobile scanners are detecting four out of five cases of lung cancer in the early stages when it is easier to treat. The mobile scanning trucks have picked up one cancer for every 33 patients scanned over the course of a year. NHS England is now funding scanners in other areas as part of a national programme to diagnose cancer earlier, improve the care for those living with cancer and ensure each cancer patient gets the right care for them. Plans for ‘FIT’, a more sensitive bowel cancer test that could see as many as 1,500 more cancer caught earlier every year, will be confirmed. ‘FIT’ is an easy to use home testing kit which predicts bowel cancer, following the introduction of the test almost a third of a million more people are expected to complete screening. The sensitivity level determines the number of people who should go on for further cancer testing. NHS England is committing to expanded cancer screening to more than four million people in 2018. New reports also show more people with lung cancer are having successful surgery and living longer. For men with prostate cancer, the news is also good, with fewer undergoing radical prostatectomy or receiving unnecessary treatment. 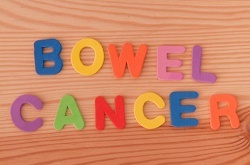 The introduction of the FIT bowel cancer screening test is a major weapon in our armoury – potentially diagnosing up to 1,500 more people a year and saving lives.